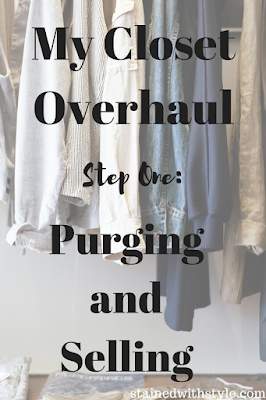 After giving birth, nursing three babies, and gaining and losing more pounds than I care to mention, my closet needed help. I started in the usual way, by feeling totally overwhelmed and giving up. The next step, taking my time. I went through one drawer at a time. I kept the things that I love, kept the maybe items, and made a pile for things to donate or sell. I tried to sell things on Facebook groups, but quickly decided that I did NOT want to meet people or have people in my house. My next step was Poshmark. Setting up my account was easy and when someone has purchased something, it has been pretty easy to send the item. I did invest in polymailers from Amazon to make it super simple. Just FYI you will want to double bag items or put it in a ziploc first. I had something eaten by the post office machine. Boo. I was lucky that most of the things that I had in my closet were actually sell-able. Even if you buy them on sale, a quality item will retain some value (and also look better over time). It has been slow going, and I have been trying to add a new item every couple of days. It honestly has its challenges too. Taking great pictures (in good lighting) when the kids are napping, or screaming at me, means that this process is taking longer than expected. 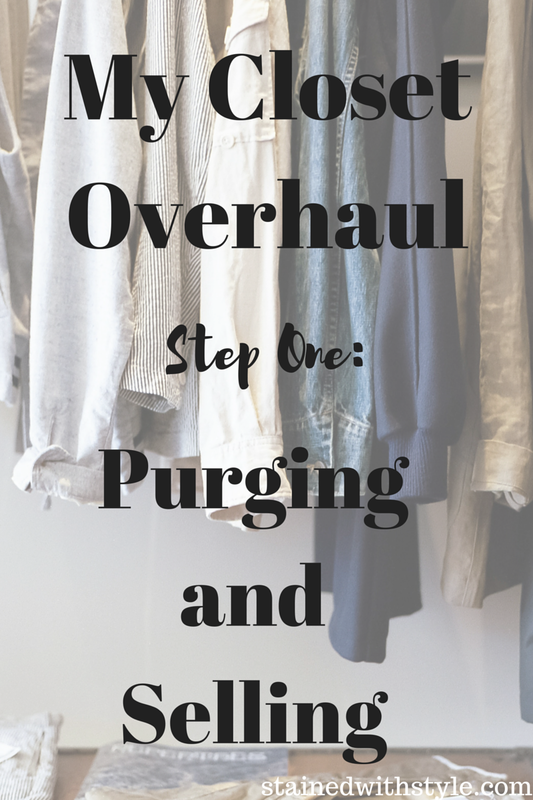 The next step is a second purge. A harder look at the things that I kept is in order. After that, I am going to make a list of all of the things that I feel are lacking in my wardrobe. The proceeds from selling my stuff (read those crazy Pucci heels I bought before kids that I have worn once) will go toward buying my new duds. I will keep you posted on my progress.